I have what I think is a WWII 3rd Division formation patch but I don't know what the narrow patch is below. Canadian Army Occupation Force (CAOF).... do a search online and you will find what you need. Can we see the rest of the blouse? Thanks Infanteer for the ID. Here are some images. The tunic is to a Pte. 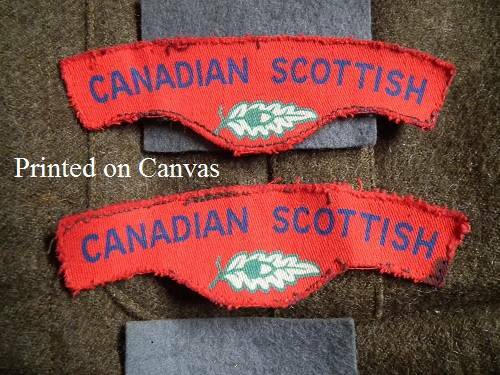 in the Canadian Scottish and in one of the pockets I found a used set of Canadian Scottish titles and a pair of unused 3rd Division flashes made of felt like material. 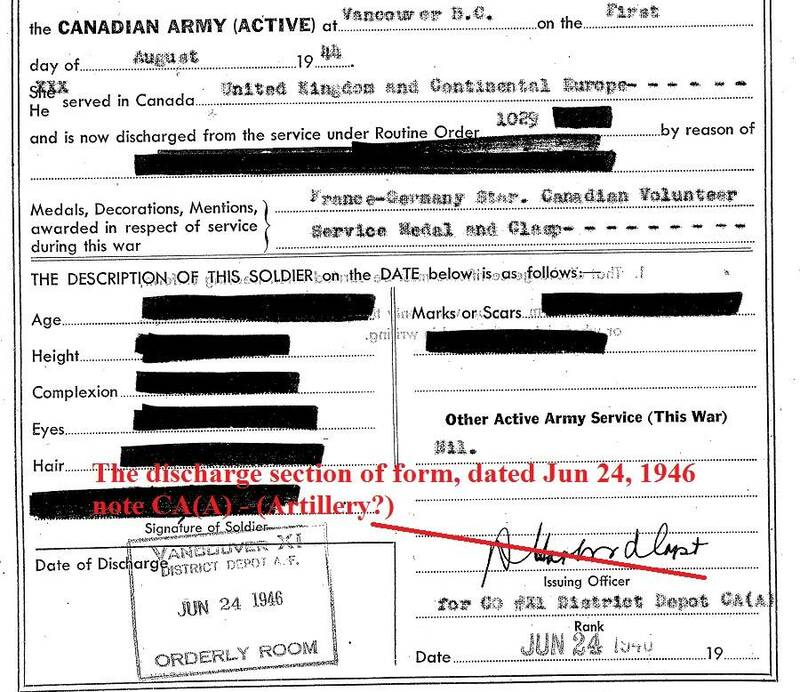 I've sent for his service files and found he enlisted on 1 Aug.,1944 in Vancouver, B.C. His medal entitlement is the France Germany Star, CVSM & Clasp and the 1939-45 War Medal. 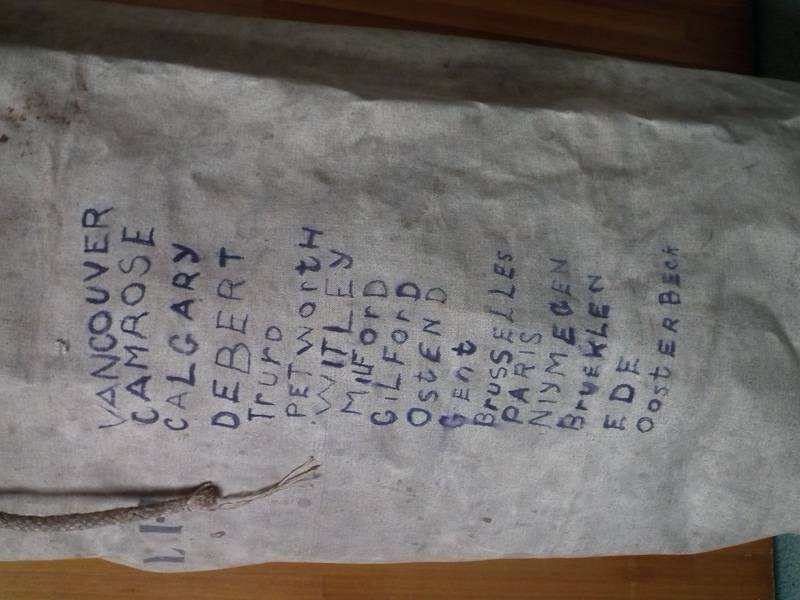 On his dufflebag he has printed in marker the places he had passed through and served in. These include Vancouver, Camrose, Calgary, Debert, Truro, Petworth, Witley, Milford, Gilford, Ostend, Gent, Brusselles, Paris, Niymegen, Brueklen, Ede and Oosterbeck. Hi Rover, where did you pick this up? Do you have a name to go with the blouse? Location : Niagara Falls On. I found this in an antique store and the duffle bag does have his name and number stencilled on it. below are some pictures. Thanks Michael for the link to the tunic on ebay. Nice to see another example of the Canadian Army Occupation Force patch. I did a some more research and I think my example is what's called a returning home tunic. As it's missing the 2 collar fastening hooks. The service records are partly blacked out as the person had passed away within the last 20 years. If a soldier passed away over 20 years ago then his full service record will be made available. Something I didn't know about WWII service files until I ordered his. 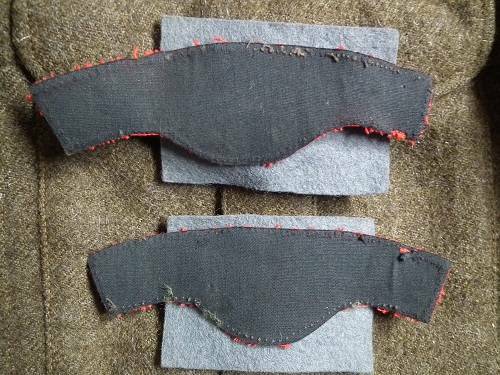 The 3 CID occupation force patches appear to be made of an atypical material. They look like they are a heavy cotton? 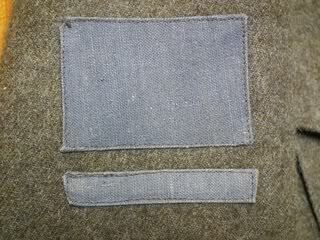 The attached patches are canvas,and the used ones are a material called "melton". This is now the third time that I've seen the 3 CID Occupation Force patches sewn in this light canvas material. Even from the first time I encountered this style in person I felt that it was legitimate based on the evident age/wear on the example that I handled. The more examples that turn up the better I feel about it being authentic. Hi Steve, I don't think there is any question about authenticity of the patches. The CAOF had a lot of "liberty" for their insignia. 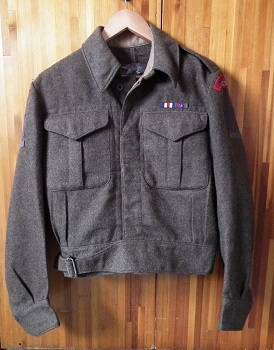 Unlike the First Cdn Army and CMHQ units, the "rules" were relaxed and the shortages of some insignia led to the issue of non typical materials. Hi Rover, it seems your man was not wounded during the war as he does not turn up in the C Scot R casualty lists. English made badges on the blouse. Really nice item, especially the duffle bag with the names on it. Just a note on the composition of the CAOF. The units in the 3 CID Occupation Force were not the same as the 3 CID. The units were reconstituted and redesignated. 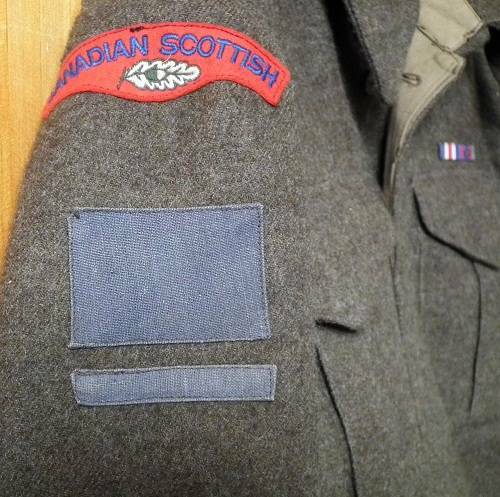 For example,the 1st Bn Canadian Scottish were redesignated 4 Canadian Scottish Regiment C.O.F. The occupation force battalions were manned by a combination of low point men (including some conscripts) and volunteers. Most of the wartime vets opted to return to Canada as soon as possible. From the details given above, he may have been a low point man, and not eligible for early repatriation. I have also seen this type of material a couple times, it is almost like a light denim. 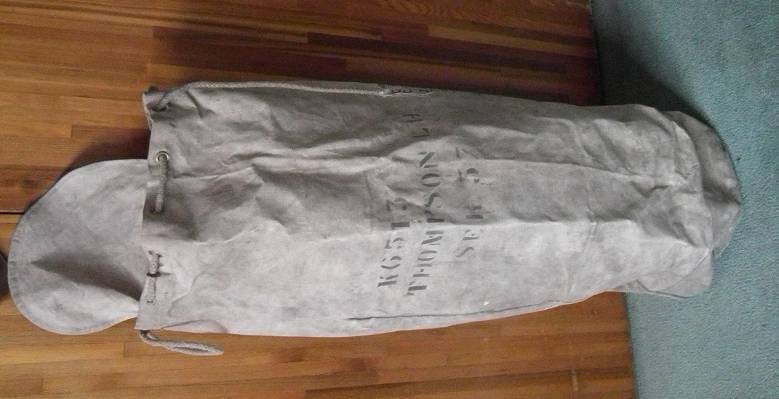 Like Bill stated, I have only seen this type of material on very late war and occupation force tunics. full name is Lee Hassell Thompson. Thanks for the help guys. Where you see CA, or CA(A) this means Cdn Army or Cdn Army (Active). Thank you Clive for your reply. I feel confident now the Duffle bag and the tunic belonged to the same person. Could have been another Thompson in the RCA. Good thing this wasn't a test on Canadian military abbreviations I would have failed miserably. But I've learned some things with this posting, which is always welcome. I was just going by the number block indicated in Clives book "regimental numbers of the canadian army 1936-1960" ? Jonhno wrote: I was just going by the number block indicated in Clives book "regimental numbers of the canadian army 1936-1960" ? Johnno, I checked the number and this now raises more questions. The Regimental number K6513 is indeed allotted to the RCA. 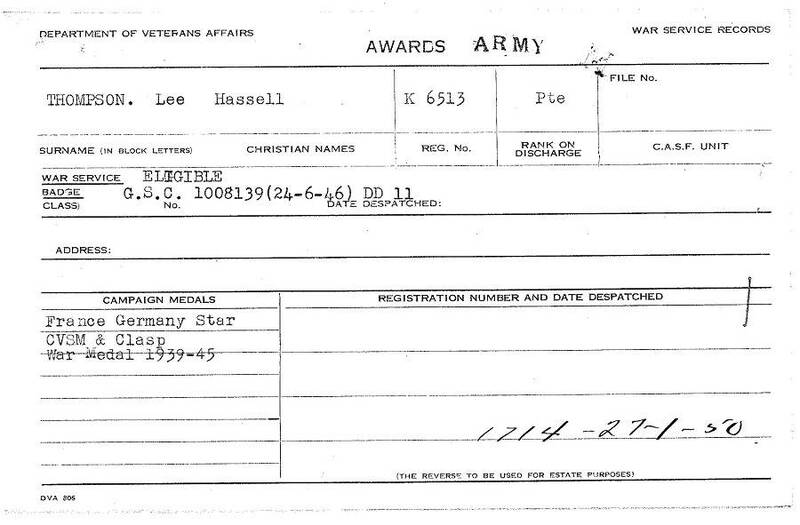 However, this is a very early number and would not have been assigned to a soldier in Aug 1944. 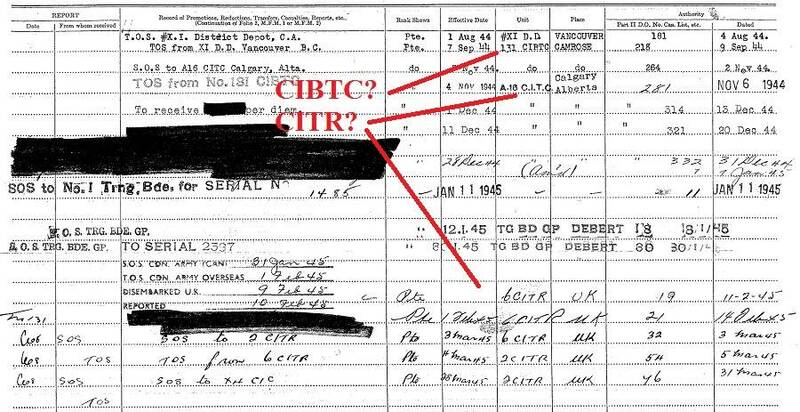 You will note that he was taken on strength (TOS) to the District Depot in Vancouver. Logically, as a late entry, his number should be K98001 to K98500. Without his service file I would have suggested that he joined early in the war, with the RCA, but was rejected for health, or other, reasons. 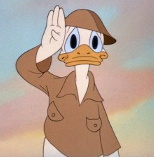 As the war progressed and the need for infantry reinforcements grew, he re-enrolled but was given his original number. Are there earlier pages to the Service Record? 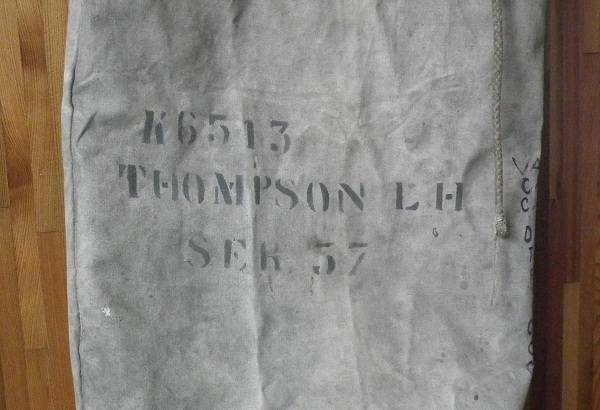 Maybe Thompson did enlist early as you say Clive but for some reason was rejected and when he re-enrolled was given his original number. His service files consists of only five pages but it mentions nothing about an earlier enlistment attempt unless I missed something. Below are the remaining parts of the service file images that have not already been shown. Would the Canadian Scottish have had a recruiting officer touring the province or do you think Thompson would have had to travel to Vancouver to enlist?